PC shipments totaled 71.9 million units during the fourth quarter last year, declining by 10.6 percent compared to the fourth quarter of 2014, according to a study released by IDC on Tuesday. But high-end gaming PCs are the fastest-growing segment alongside all-in-one PCs, IDC analysts said. Gamers upgrade hardware much more quickly than other users and are typically not affected by the industry trends that led to a decline in PC shipments overall. For one, smartphones and tablets haven't replaced gaming PCs, as has happened with mainstream PCs, said Lewis Ward, research director for gaming at IDC. Gamers also aren't price-sensitive, and are willing to spend to get the latest and greatest technologies. Many gaming systems are built by enthusiasts at home. Though a small share of the overall PC market, gamers also upgrade computers much more quickly than users of regular PCs. Intel last week estimated that gamers refresh PCs roughly every two years. It also estimated that enthusiast gaming PC shipments are growing at about 26 percent per year. IDC couldn't provide specific growth numbers for gaming PCs, but said it's a relatively small segment of the overall PC market. Top PC makers Dell, Lenovo, Asus and Acer are chasing the gaming market aggressively with tricked-up PCs. Lenovo is even writing its own game called Game State in order to break into the gamer market. Virtual reality and augmented reality will likely aid the growth of gaming PCs, said Loren Loverde, vice president at IDC. 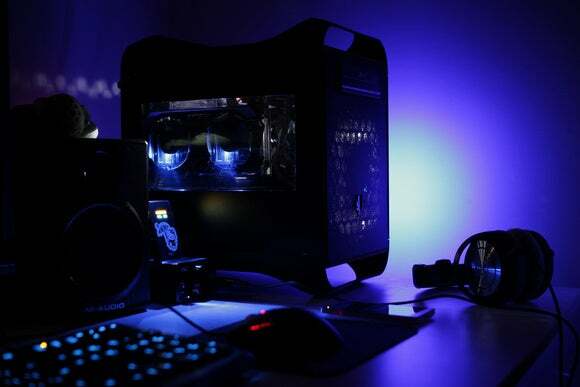 Virtual reality headsets are usually attached to desktops with the latest graphics cards. PC shipments otherwise declined due to fewer upgrades than expected. Sales in China, which is usually a source of PC growth, suffered along with its declining stock market. IDC's survey didn't account for tablets with a detachable keyboard. Detachables are growing in popularity and the quarterly PC shipment decline would have been less steep had detachables been included in the numbers, IDC said. But IDC has a positive outlook for the PC market this year, which will turn around as consumers and organizations upgrade to Windows 10. PC shipments for the top three PC makers declined during the quarter. At the top was Lenovo, whose shipments totaled 15.4 million units, a year-over-year decline of 4.5 percent and a 21.4 percent market share. HP was second, with its shipments declining by 10.1 percent to 14.29 million units. Third-placed Dell shipped 10.17 million units, declining by 5.7 percent. Shipments for fourth and fifth-placed Asus and Apple grew by 0.8 percent and 2.8 percent respectively.